Little Feat will bring its eclectic mix of rock, blues, folk and country music to the Coach House in San Juan Capistrano on Nov. 8. Little Feat was formed by guitarist Lowell George and bassist Roy Estrada in the late 1960s and rose to fame in the 1970s. But the death of George in 1979 seemed certain to mark the end of Little Feat. Now, the outfit has jumped into the spotlight again with “Join the Band,” a 15-song set released in August 2008 that has the seven-member troupe joined by a number of famed guest musicians. Standouts on “Join the Band” include the Delta blues-minded “Fat Man in the Bathtub” featuring slide guitarist Sonny Landreth, a powerful reworking of the Band’s “The Weight” with banjo virtuoso Béla Fleck and upbeat classic rock of “Something in the Water” showcasing the vocals of Bob Seger. Little Feat will feature material from across the band’s long career at the Coach House on Nov. 8. It is the band’s genre-busting mix of styles and excellent musicianship that makes a Little Feat performance so rewarding. Fans of the group know that Little Feat’s sound is an infectious blend of rock, folk, Delta blues, jazz and funk all built around dazzling songs. 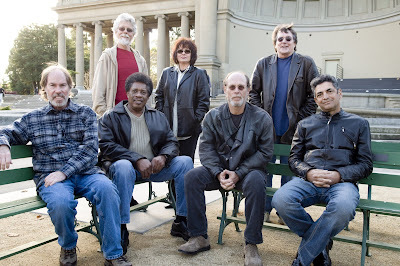 The group’s long-time lineup features singer Shaun Murphy, bassist Kenny Gradney, guitarist Fred Tackett, guitarist Paul Barrere, drummer Richard Hayward, percussionist Sam Clayton and keyboardist Bill Payne. San Diego-based Laura Roppé will open for Little Feat, and will perform songs off her full-length debut “Girl Like This.” Excellent county-styled tracks such as the tuneful “Float Away” and upbeat “Mama Needs A Girls Night Out” are likely to be included in her set. Little Feat and Laura Roppé will perform at the Coach House, 33157 Camino Capistrano, San Juan Capistrano, at 8 p.m. on Saturday, Nov. 8. 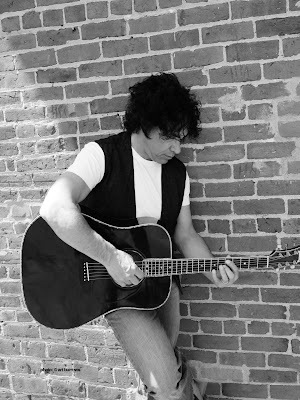 Last month, I had the opportunity to interview singer-songwriter John Oates on the phone and toward the end of the 20-minute conversation, he asked if I came to his upcoming show at the Coach House (staged on Wednesday, Oct. 15, 2008), to come say "Hi." Typically, I don't make a point of trying to get backstage to meet well-known musicians, but being such a fan of Hall & Oates, I couldn't refuse this invitation. He was gracious and polite with a number of fans that I saw him meet with, and it really is a great reminder to a critic like me that when musicians take even a few minutes to meet with a fan, it does mean so much to them and can build an even stronger bridge between musicians and their loyal listeners. But as wonderful as it was to meet and talk for a few minutes with John, it was his subsequent show that was what I will most remember. He and his semi-acoustic trio were wonderful in a 16-song set that included many choice Hall & Oates classics from the 1970s, as well as the strong material off his 2008 album "1000 Miles of Life." For fans of early Hall & Oates, John Oates' set list fully delivered. He kicked things off with "Lady Rain," the first of several songs he would play off the 1973 album "Abandoned Luncheonette." His expressive voice, wonderful use of rhythm and lead guitar work on his acoustic guitar and skillful arrangements extended throughout the 1 hour, 50 minute set. Highlights of the concert were an upbeat and soulful "She's Gone," "Las Vegas Turnaround (The Stewardess Song)," "Change of Season" and "Sara Smile" representing his work with Hall & Oates, while the sparse protest song "Ravens" and alt-county flavored "I Found Love" off his recent solo CD were equally strong. He closed the night with the title song off his new album, before returning for a well-earned encore to play "Circle of Three," written about the strong love he shares with his wife and son. The subdudes, from left, Jimmy Messa, Tommy Malone, John Magnie, Steve Amedée and Tim Cook. When a group blends Louisiana soul, funk, Cajun blues, gospel and Southern rock as well as the subdudes, it doesn’t matter what brand is used to describe the music. 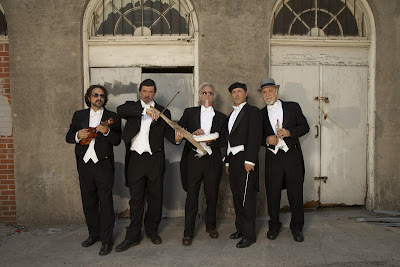 The original music troupe – founded in 1987 with the idea of playing a single show at Tipitina’s in New Orleans – has subsequently performed countless shows over the past 21 years and will headline at the Coach House on Oct. 17. When the subdudes play in San Juan Capistrano on Oct. 17, the group will be featuring material off their excellent 2007 studio album “Street Symphony,” as well as the group’s forthcoming two-disc DVD and accompanying “Unplugged at Pleasant Plains” CD. Part of the subdude’s sonic recipe for success in undoubtedly a lineup of four strong lead vocalists, as well as the ability of all five players to handle a number of instruments. The quintet features Tommy Malone (lead vocals, guitar), John Magnie (vocals, keyboards, accordion), Steve Amedée (vocals, mandolin, hand-struck tambourine, drums, percussion), Tim Cook (harmony vocals, bass, percussion) and Jimmy Messa (bass, guitar, vocals). Since the release of the group’s self-titled debut in 1989, the subdudes have gone on to release a number of outstanding releases including “Lucky” (1991), “Primitive Streak” (1996), “Miracle Mule” (2004) and “Behind the Levee” (2006). In addition, the subdudes' live recording of "Poor Man's Paradise" is featured on the new collection "FUV Live Volume 11," the latest installment of the CD series of in-studio performances issued by New York's WFUV (90.7 FM). Other artists featured on that recommended collection include Aimee Mann ("Borrowing Time"), Iron & Wine ("Resurrection Fern") and Bell X1 ("Rocky Took A Lover"). The subdudes, Chuck Alvarez and Bob Malone will perform at the Coach House, 33157 Camino Capistrano, San Juan Capistrano, at 8 p.m. on Oct. 17. ACOUSTIC TROUBADOUR: John Oates, best known as being half of the hugely successful blue-eyed soul duo Hall &Oates, will perform a solo acoustic show in San Juan Capistrano on Oct. 15, 2008. John Oates' sophomore solo release, "1000 Miles of Life," was released Sept. 23, 2008 and is a strong follow-up to 2002's "Phunk Shui." While fans of the blue-eyed Philadelphia soul that have made him and Daryl Hall the most successful duo in history with 10 No. 1 albums and more than 20 top 40 hits will welcome tracks such as heartfelt "Spinning Down" and blues-tinged rocker "Carved in Stone. There is an authentic Americana-styled tone that runs across the disc. Indeed, one of the highlights on the album is the beautiful "I Found Love," which features the sound of banjo, mandolin and other bluegrass sounds positioned around Oates' superb voice. Oates wrote the song for his wife Aimee back in 1993, but put it aside when he realized it had a country sound and wouldn't work on a Hall & Oates project. "I knew it needed a special treatment," Oates said of the song in a recent interview. Oates lives on a ranch outside of Aspen, Colo., with his wife and their 12-year-old son Tanner. "So I got Bela Fleck on banjo, Jerry Douglas on dobro and Sam Bush on mandolin. They're the crème de la crème of that bluegrass world. And to have them all playing together on that one song was one of those moments where I felt like 'Wow,' I've put myself in this position where I can play with one of the greatest group of players in the world on a song to me that is very personal and very important, and to have them surround that song with the beauty of their playing – you know, you just don't get moments like that. It is a very special thing for a musician." Oates is thrilled to perform with his three-member acoustic combo at the Coach House on Oct. 15. He is only playing a handful of these intimate dates in connection with the release of "1000 Miles of Life." "It's more like an evening with (John Oates)," explained Oates, noting he has performed with Hall at a number of shows in Orange County over the years, but never at the Coach House. "I don't really put a time limit on it. I have a general idea of what I'm going to do and then I take it from there. You never know. People call out a song; after all, doing what I do and writing songs for 30 years, I have a lot of songs that are not only hits when you talk about Hall & Oates but other songs that were album tracks. This show gives me an opportunity to reach into the catalog and pull out things that normally don't get played anymore at a Hall & Oates show, and of course I have a new album, so I do a lot of songs from the new album." While Oates is currently focused on his solo album and related acoustic shows, he and Hall continue to make music together as well. On Nov. 25, Shout! Factory will release a deluxe DVD/2-CD combo (also available on Blu-ray) "Live At The Troubadour" chronicling the duo's performances at the historic Los Angeles venue in May 2008 featuring well-known hits ("Rich Girl," "Kiss on My List," "Out of Touch"), as well as live versions of more recent songs like "Getaway Car." Another notable release of interest to fans is a remastered reissue of "Along the Red Ledge." Released in September 1978, "Along the Red Ledge" featured the duo working with a number of players such as Cheap Trick guitarist Rick Nielsen, King Crimson guitarist Robert Fripp, singer-songwriter-producer Todd Rundgren and former Beatles guitarist George Harrison. It was a mutual interest in auto racing that paved the way for Harrison to come play slide guitar on the song "The Last Time." "During the Long Beach Grand Prix we were recording and I was down there with George (in Long Beach) watching the race and hanging out with him," Oates recalled. "I asked him because we recorded that album in Los Angeles; I asked him if he would sit in and play on a song. He said, 'Oh sure' and he came down and played, and it was great. He was a complete gentleman." In addition, an ever-growing number of young musicians (notably Gym Class Heroes, Finger Eleven and KT Tunstall) have been heralding the duo's music this decade. This writer admits to being confused as to why Hall & Oates have not been inducted into the Rock and Roll Hall of Fame; I shared that view with Oates toward the end of our conversation. "There is a lot of politics involved," Oates said. "There are a lot of personalities involved. I personally feel we deserve it and that goes without saying. But we're not in a position to dictate that kind of thing. "You know, Daryl and I were voted into the American Songwriters Hall of Fame about four years ago and we were also won the BMI Icon Award (on May 20, 2008, as part of the 56th annual Pop Awards), both of which are awards for songwriting. And for us, personally, I find it satisfying to be in that category and to be among the people in the Songwriters Hall of Fame. "For me, it's all about the songs and all about the songwriting and that's how we started and I think that's essence of what Daryl and I do individually and collectively, so I'm proud of that. If the day comes and we get voted into the Rock 'n' Roll Hall of Fame, that will be amazing; I'll be there with bells on. But until that happens I won't lose any sleep over it."